Over the last few months, I’ve been in the mood for some fantasy stories that involve sand, sultans, and scimitars. Unfortunately those seem to be hard to come by, and the few ‘Persianish/Arabianish’ novels I have read haven’t quite scratched that itch. In my opinion, most modern desert fantasy novels spend far too much time inside city walls, in bazaars or back alleys. It’s like playing the first Assassin’s Creed, which, in my book, is not a good thing. The only good bazaar scene I can think of was Conan punching a camel. Sorry, PETA. Howard Andrew Jones’ book checks off at least most of these items. 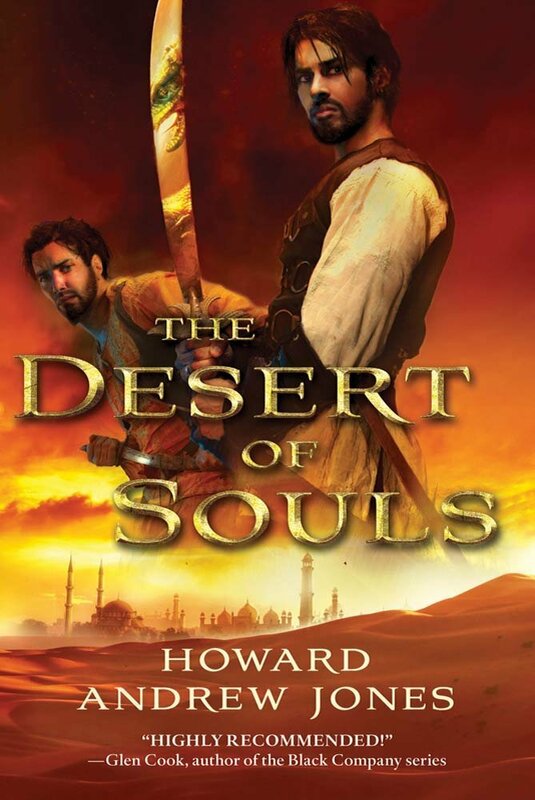 The Desert of Souls follows two adventurers, a warrior and a scholar, and Jones intriguingly plays with the expectations baked into these two roles. You’d expect the scholar to be the narrator, right? And he’s documenting the resourcefulness, bravery, and righteousness of the warrior. No. Reverse that. From the outset, Jones establishes that the scholar is more accomplished, more destined to become legendary. The warrior, on the other hand, may be more skilled with his pen than with his sword. There is also a smart, strong-willed female character in the story, but it would have been nice to see her do more, or to see her ‘break type’ in the way the scholar and the warrior do. All in all, The Desert of Souls kept me entertained, and the two main characters felt real and I liked their interactions. The story lumbered a bit on its way to the climax. As a reader, I hate scenes where the protagonist(s) know something to be true, but no one believes them. I guess most horror, fantasy, and sci-fi stories have to include an “It’s true!” “No you’re crazy!” conversation at some point, because they put their main characters into highly unlikely (or downright ridiculous) situations. When I have to write a scene like that, I try to keep it as short as possible, or add something unexpected. Otherwise I imagine the reader wanting to skip ahead. Anyway, everyone knows that the “No you’re crazy!” person is probably going to end up being killed by the thing he’s been so vehemently denying. 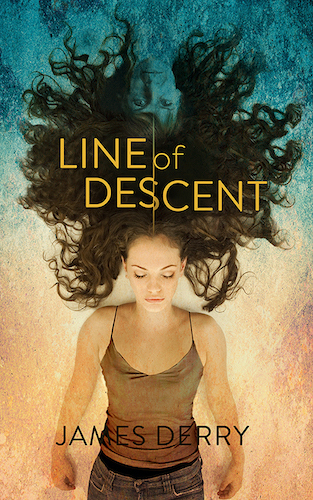 Still, I look forward to reading the second book of the series, and to seeing what happens next.